Nearly 30 years, CCS of Utah has provided specialized foster care services to hundreds of unaccompanied children from around the world. Children entered the U.S. without their parents or an adult to care for them. Minors that are eligible for the program include refugees, asylees, Cuban/Haitian entrants, special immigrant juveniles, and victims of human trafficking. 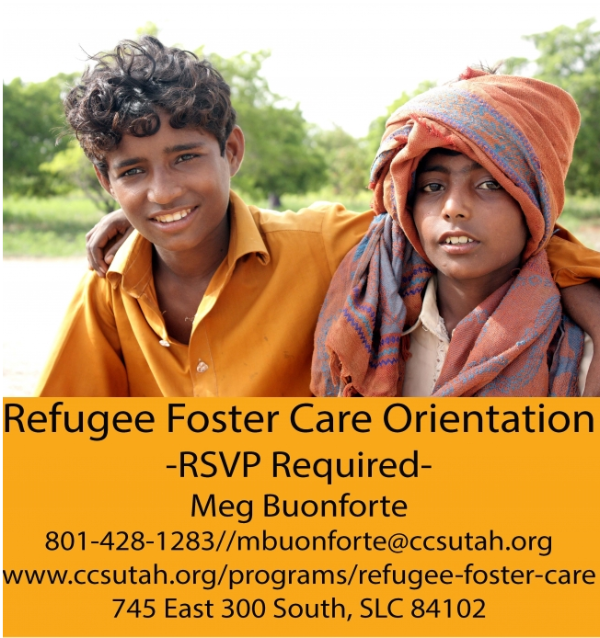 For more information on becoming a foster care parent, please attend our next Refugee Foster Care Orientation on May 3rd or contact Meg Buonforte @ 801-428-1283 or mbuonforte@ccsutah.org More information HERE.